I have been trying to get my hands on this one from my local library as I have been trying to save money. For some reason it had been in storage until recently and now I have so many books on my shelf waiting to be read that I want to finish first. But as soon as I do finish those books, I am going to be down at that library borrowing it! I've heard great things about this book and will hopefully be able to get this one from my library as well! I have been itching to read this one since it first came out, but I have been trying to save money and it is to new for my library to have. It is on my to-buy list as soon as i get my next pay check! I nearly picked this one up at my library, but it just looked so thick and I had so many others I was borrowing already. I will get around to reading this though! Have been wanting to read this one also!! There is a waiting list for it at my library though, so hopefully I will be able to get my hands on it soon! Anything by Sarah Dessen, I feel that everyone has read at least one of her books but me! Hopefully soon I can join the party! I'm sure I will be reading this one soon as well, everyone seems to be reading it! So technically I have the first in this series on my shelf waiting to be read! This one hasn't actually been released yet, but the people who were lucky enough to receive this one early, have been raving about it and i just need to read it as soon as I can!! I know I know! I should have already read this one, and I feel kind of bad that I haven't. I will get around to it, I swear! Teaser Tuesday is hosted by Should Be Reading, for more info please check out their page. 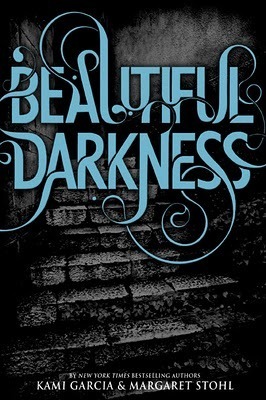 I've just started reading Beautiful Darkness by Kami Garcia and Margaret Stohl, so here is the teaser I chose! "Look at me, Ethan. Am I Dark, or am I Light?" I looked at her, and I knew what she was. The girl I loved. The girl I would always love." I've only just started reading this but now I can't wait to get into it!! What are some books that you haven't read and feel everyone else has? Divergent and Perfect Chemistry are both books that I loved. Anna and the French Kiss was pretty good. I have The Iron King on my list, too. Jane Eyre is my all time favorite classic, but I have yet to read Pride and Prejudice so I am a bit ashamed about that. Great reads there Amy! I can't wait for Mara Dyer as well! Divergent is so, so, so good. I really enjoyed reading it! I love Divergent so much, and I've been dying to read The Unbecoming of Mara Dyer! Loved Divergent! And I'm really looking forward to The Unbecoming of Mara Dyer too. Thanks for stopping by! I just read the first in the Iron Fey Series and the first couple of pages I was like...sure it's good but people were raving so it should be amazing, and then bam! Off I went on an adventure and now I'll be raving in my review. Which I'll be typing up tomorrow. Divergent is very well written, and it's pretty much as violent as Hunger Games. I enjoyed it, even though I kept thinking "Oh, no!" between the smashed up faces and bruised knuckles. There is a good plot and a good little dose of romance. I need to read Game of Thrones too. There are a couple of books on your list that I haven't gotten the chance to read either, like Game of Thrones and The Book Thief.